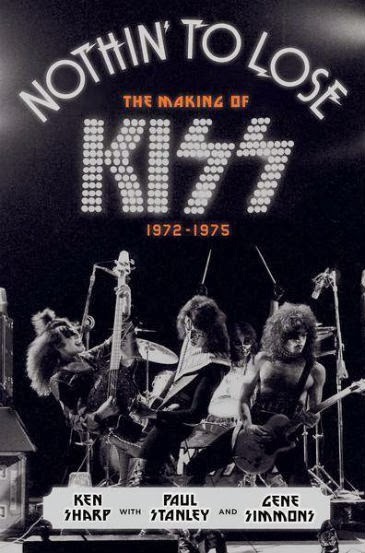 Nothin’ to Lose: the Making of KISS (1972-1975) chronicles for the first time the crucial formative years of the legendary rock band KISS, culminating with the groundbreaking success of their classic 1975 album Alive! and the smash single “Rock and Roll All Nite,” a song that nearly four decades later remains one of the band’s most enduring anthems. Drawing on more than 200 interviews, the book offers a captivating and intimate fly-on-the-wall account of their launch, charting the struggles and ultimate victories that led them to the threshold of superstardom. 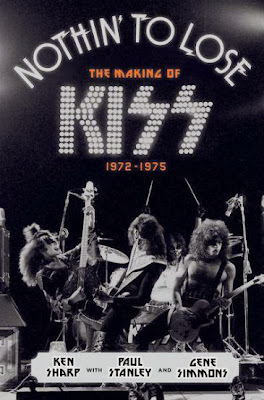 Constructed as an oral history, the book includes original interviews with Paul, Gene, Ace, and Peter, as well as producers, engineers, management, record company personnel, roadies, club owners, booking agents, concert promoters, costume, stage and art designers, rock photographers, publicists, and key music journalists. Many of KISS's musical contemporaries from the time, most of whom shared concert bills with the band on their early tours, also lend their perspective via new interviews; these include Bob Seger, Alice Cooper and Ted Nugent as well as members of Aerosmith, Black Sabbath, Rush, Slade, Blue Oyster Cult, Mott the Hoople, Journey, REO Speedwagon, Styx, Raspberries, James Gang, New York Dolls, Iggy & the Stooges, The Ramones, Suzi Quatro, Savoy Brown, Argent, Nazareth, Uriah Heep, and Wishbone Ash among others. The end result is an indelible and irresistible portrait of a band on the rise and the music scene they changed forever.